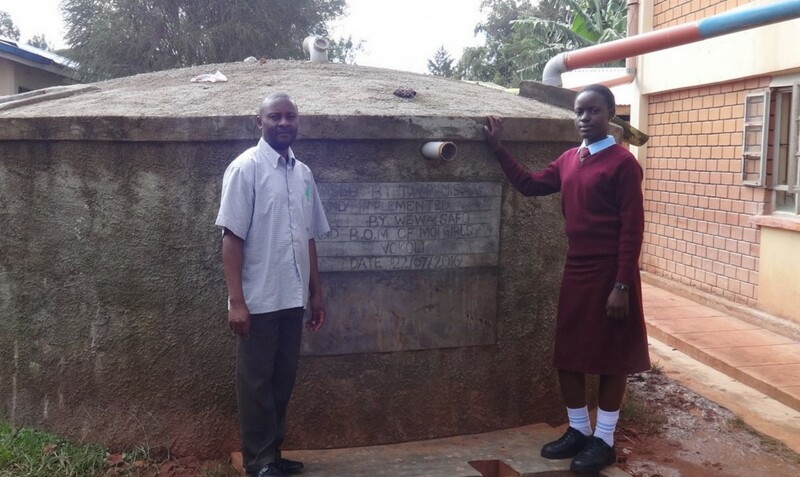 A year ago, generous donors helped build a rainwater catchment system and new latrines for Moi Girls High School in Kenya. Because of these gifts and our monthly donors, partners can visit project sites throughout the year, strengthening relationships with communities and evaluating the actual water project. These consistent visits allow us to learn vital lessons and hear amazing stories – we’re excited to share this one from partner Mary Afandi, with you. The school got a 30,000 liter water tank, 2 hand washing stations and six latrines last year. 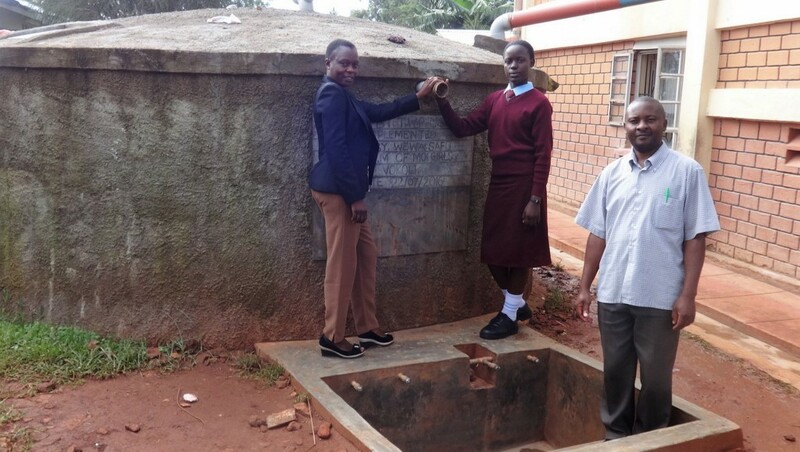 After the construction of the water tank the students have access to clean water for drinking and washing their personal effects, dormitories, and classrooms. 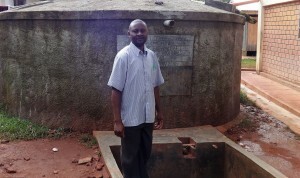 The water tank was also constructed next to the washrooms making it very convenient to draw water for use. Access to water has also helped save time that was wasted queuing for water. Nowadays the students have sufficient time to concentrate on their classwork and personal reading. 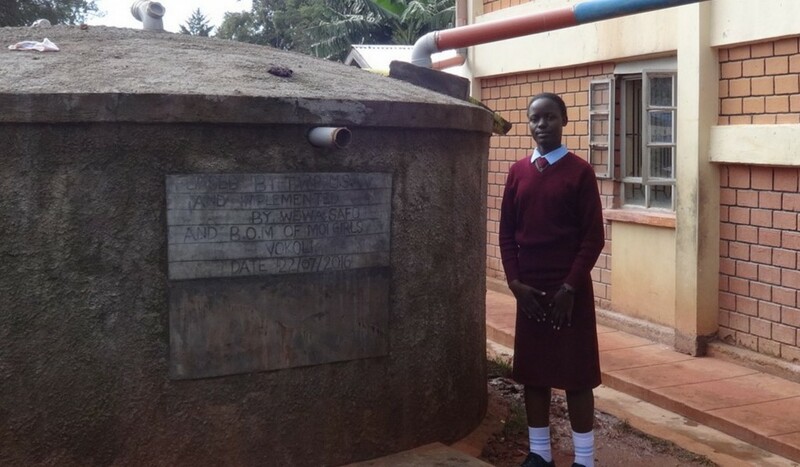 The water sanitation standards at Moi Girls School have greatly improved after the construction of the tank and latrines. The school community requires more training on water and sanitation because more students have enrolled even as others leave the school upon completion of the fourth form. We will support the school by carrying out routine monitoring and evaluation. In addition, the staff is ready and willing to carry out hygiene and sanitation training when requested and responsible for dosing of the tank. The Water Project and our partners are committed to consistent monitoring of each water source. Our monitoring and evaluation program, made possible by monthly donors, allows us to visit communities up to four times a year. Read more about our program and how you can help. When you invest in The Water Project, you're investing in people like Shem Lidonde. Your gifts help us reach more communities with the gift of clean, safe water. And every drop helps unlock potential.